> 'At first glimpse...' Rather small for Khajiit standards, appears to look the runt of the litter, if you could call it a litter presumably how Khajiit are born. His fur is short and lacks shine to it, limiting the lack of tuft on the top of his head which remains vacant. Za’athra Sibus is rather thin which adds to his smallness, but nothing out of proportion because of his size. > Aesthetics With a dullness to his black fur, Za’athra Sibus continues to wear an eye patch over his left eye, which doesn’t hide the apparent large scars that reach down that side of his face over that eye. > Build Small in size to his Khajiit race, Za’athra Sibus doesn’t look to be able to handle himself towards any large fit warriors. He is toned however in his smallness, showing that he is often pushing the limits of what he is able to do in any short of physical activity. Thin too, he is very flexible, and fast, so he can easily dodge and escape if necessary. > Trinkets and jewelry Carries none other than a well-crafted leather eye patch which he often wears over his left eye. > Other details though small, you may catch his hands drifting around the tavern around many others coin purses. Personality is outgoing and holding no reserves when he at all wants to announce his opinions. Za’athra would often be described as arrogant and a little full of himself, but with good means to back him. It’s uncertain that he really feels this way about himself, since he does appear to carefully tip toe around his choice of words, speaking even direct and bluntly, or that of rather vague, but hinting on one way or the other.Za’ athra will often joke and make a small jab or remark to strangers or friends, testing his limitations to what he can say. Usually one enjoy the festivities of a grand celebration, Za’athra will often keep to himself, ears perked so he can gather any useful gossip. > Strengths and weaknesses His ability to lure information out of people by quietly badgering with people’s either emotions, or building strong trusts with strangers, and appearing loyal, which again shows his bout charisma. Quick with his hands which he will usually show in a display of furry of blade work; he will also keep the eye unseen to his pocket picking. The only weakness Za’athra can’t usually keep hidden among folk is his phobia of water, regardless of its depths. Regardless of any skill in swimming, Za’athra can’t stand the thought of even being among-st the vast openness of the sea. ➢	Za’athra’s early days were among small tribes in Elsweyr as his family’s tribe was trade merchants between the small groups that often commuted daily; following the river to neighboring societies. Still a child, the Dunmer traders came raiding in, and captured many the tribes that Za’athra often saw, imprinting a great dislike and distrust towards the race. While under partial ownership of his captures, his head had mostly been covered by a brown sack as the slavers trudged the Khjaiits out of Elsweyr and into Morrowind to be sold or work with for the slavers. Za’athra’s pride hadn’t been beaten, and while planning for days of his escape, his parents were unfortunately not involved. 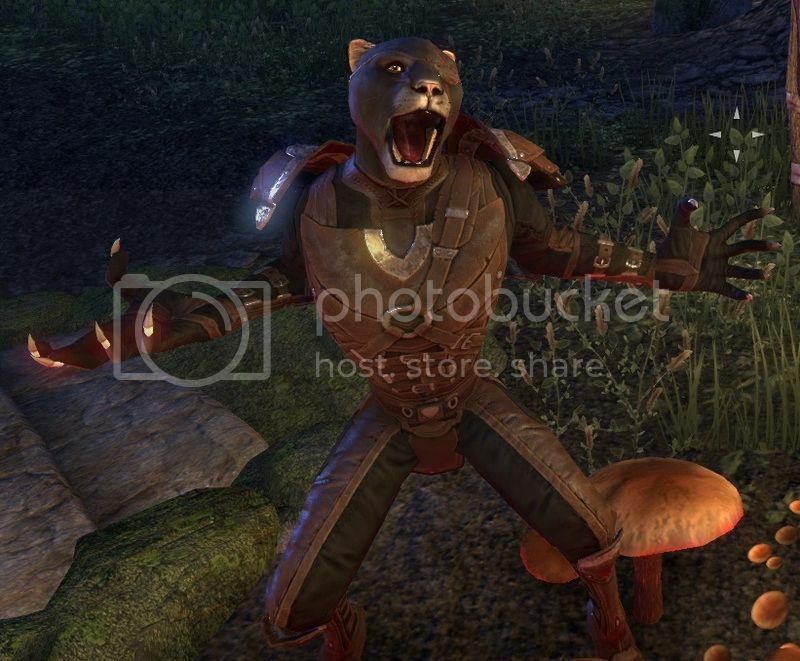 His behavior changed for the time being, acting very obedient, and gaining much trust amongst the Dunmer. Za’athra one late night, took his chance, and escaped one of the great houses of Redoran. 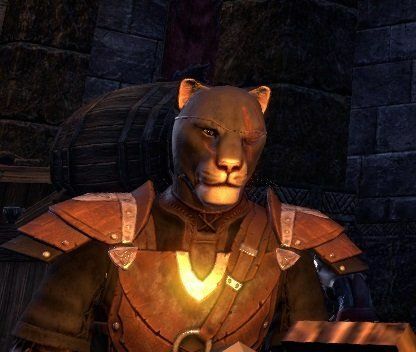 The Khajiit’s escape wasn’t as successful as he had hoped and while one of the most powerful slavers trailed his path, Za’athra barely escaped with his life. His eye was taken; it being slashed a crossed by a short sword across the face by the Dunmer slaver, or had it been an with an open hand? Za’athra couldn’t remember but regardless of how, that wound would haunt him till the end of his days. Inching back, Za’athra had been cornered, as the slaver continued to advance on the small child Khaj’iit. It had been within half a second that Za’athra leaped up at the Dunmer still holding a palm against his bloodied face, causing the Dunmer to stumble back and as Za’athra planted both knees into the slaver’s chest, the Dunmer fell back and was impaled by a half-finished piece of ingot laying upright in the small blacksmiths workshop. In those 4 years, it had been to Za’athra’s discovered he had been stricken with an illness, the wound that caused the loss of his left wasn’t by any blade, but a claw of a Dunmer in partial transformation into a Werewolf. Infected with Sanies Lupinus disease, the small Khaj’iit was unware the horror that would be bestowed on him, as he fled away for his freedom, to seek refuge in a small village in Daggerfall. Nearly every soul had been slain by Za’athra’s hand, or fang/teeth. Covered in blood, and recollection of a nearly hazed dream like memory of what had happened, the Khaj’iit fled again. Making his home along in Morrowwind, he pressed himself day by day to contain the beast inside. Nearly four years had passed until Za’athra had somehow managed to keep the Wolf suppressed by will. Staggering he managed to escape the clutches of death and struggled to survive until a span of days. Hungry, and in a rather poor condition to hunt, Za’athra wondered nearly a half a day’s crawl to the nearest village. Resorting to theft, Za’athra made off fairly well, in means of survival. There came a time when he was able to get his paws on two short swords, but he wasn’t at all experienced on how to use them. He had often camped near a manor just outside Daggerfall, and took notice of the fighter’s guild there, and he would catch their members outside sparing and learning sword play. Za’athra didn’t learn much from watching from a distance, and he even doubted himself in his abilities in holding his own if he would ever be held up on the road by highway men, or bandits. What had triggered the idea to even keep a weapon, other than protection, had been the idea to start collecting rewards. Za’athra couldn’t read, never taught nor gone to school, but from what he gathered from the posters he saw posted around Daggerfall, he surmised that he could be better off if he took in to what people were asking. It took one time with luck that Za’athra had been able to move forward with his new traits. Still small and a child, he had been tracking a man who was wanted dead or alive by the Royal Guard. Za’athra wasn’t sure what the man had down, but he didn’t care. 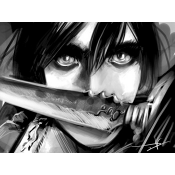 First he had tracked the fellow down, which didn’t appear to be as hard as he originally thought, and then he simple snuck into a barn where the man was taking shelter, and while he was a sleep, Za’athra Sibus simply dug his short sword into the man’s chest. Now not all bounties were easy. Za’athra learned this the hard way, and because his inability to read apparently took the best of him, he had lost money rather than gained. Situations where the person was wanted alive or information on where a certain type of herb grew, or even information on where a specific rumor derived from, but in all those cases, he had failed miserably, and in fact someone had died by his hands instead because of his lack thereof the ability to read. It was apparent he had skill in assassinating those he thought he could kill, and a man called Day-dan caught word of this and contacted Za’athra to provide him with a little help. Ten years went by, and Day-dan practically raised Za’athra; teaching him to read, to write, to fight and to live. Under the impression he had been guilded under the Fighters guild, Za’athra Sibus had been finally told the truth that Day-dan was actually a member of the Nightblades, as his mentor fell ill to a knife wound made of silver. The past several years, Za’athra has been keeping to his old antics of bounties on those who are wanted dead by Royal nobles that pay well, but Za’athra has been finding the tasks lacking, and has changed his direction of living. Additional note to certain key points listed in Za’athra’s backstory; there had been four years of his life, which he had disappeared. Never explained, nor documented that the Khaj’iit fled the light of the world to keep something hidden. Four years on the date, he emerged with much holding him back, as it was what he wanted. Moving while in Secret from the Aldmeri Dominion, Za'athra Sibus is now amongst the Ebonheart Pact. Although nobody knows this, but he had gone by a different name, and is somewhat in hiding. His recently alliances with being a member of the Relics Guild, has caused him to keep on the other side of the borders, never to be seen from the like again. > Prejudice and judgment: Very little allies, it has been discovered that Za’athra is usually very secretive about his actions, or where he’s been, or been up to. One thing is certain, Za’athra is planning something, and continues to work towards his advancement.